Though it may not be as satisfying as an HD remaster or "from the ground up" remake, Red Dead Redemption is officially backwards compatible on Xbox One. This means if you own a disc, or digital copy, of Rockstar's sequel to Red Dead Revolver, Red Dead Redemption, than you can play the through the game on your Xbox One. No word has been made about a PlayStation 4 or PC version of the game but this news of backwards compatibility would probably signal that the game isn't likely to make it's way off of Xbox One, at least not for awhile. Publishers wouldn't have any reason to offer the game as both backwards compatible and fully remastered as people how already owned the game wouldn't have a reason to buy it again. It's not totally impossible to see the games come to other platforms but I wouldn't count on it for a little while. Lately, rumors have built up steam concerning an unannounced and unnamed follow up to 2010's western masterpiece. Everything from plans for a current generation remaster to an E3 showcase has been speculated but per usual Rockstar has been tightlipped. 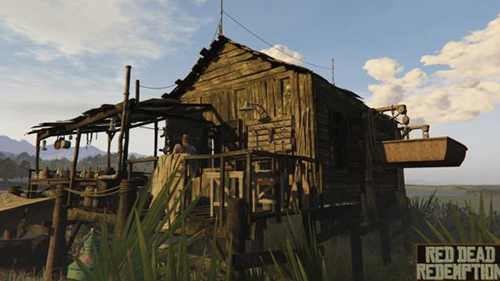 Last month, a Rockstar employee's resumé revealed a screenshot related to something in Red Dead's world, if it's the remake or the sequel, we're not sure yet. 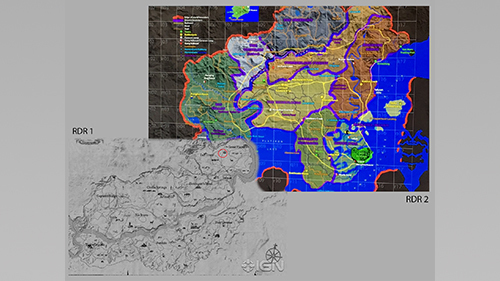 Earlier in the year, a possible map leaked with scarce details on a Native American protagonist set in a time prior to Redemption indicating the possibility of a prequel. The only other rumor of possible merit was the word of an online component similar to Grand Theft Auto Online, featuring changable characters, a connected map, and potential heists - though believable this rumor is the most unsubstantiated so take it all with a grain of salt. Though we're always sifting through piles and piles of rumors at least we can 100% officially play Red Dead Redemption on a current gen console, even if it is the dated version of the Xbox 360. I'll take what I can get. Are you a fan of Red Dead Redemption or any other Rockstar game? Share your thoughts below!